Mobile apps often provide a better user experience than browser-based web apps, but you first have to find them, download them, and then try not to forget you installed them. Now, Google wants us to rethink what mobile apps are and how we interact with them. 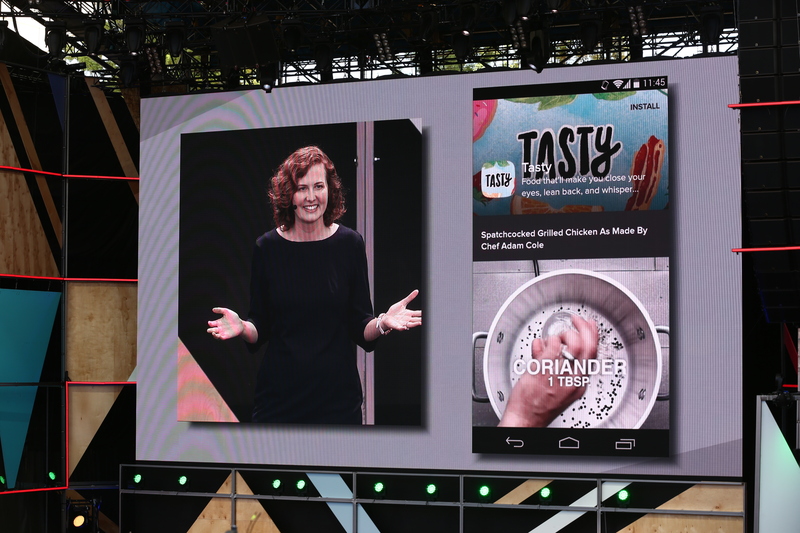 Instant Apps, a new Android feature Google announced at its I/O developer conference today but plans to roll out very slowly, wants to bridge this gap between mobile apps and web apps by allowing you to use native apps almost instantly — even when you haven’t previously installed them — simply by tapping on a URL. Typically, downloading and installing an app would take a while, but with Instant Apps, developers will have to partition their apps into small, runnable parts that can start within a few seconds. The focus here, they argued, is on making the experience as seamless as possible. Because you’re already logging in to your phone, the app will allow you to pay with your Google Wallet account and then disappear again, for example. “There are classes of apps that are better as a native app but aren’t being experienced like this because of the install hurdle,” Siliski said. Google also worked with BuzzFeed on an early test that lets you open up an instant version of the Buzzfeed Video app to watch a video, and with B&H to show how developers could use this feature for an ad hoc online shopping experience. Developers will have to do some work to enable all of this new functionality, of course. Kirkpatrick noted that this is more of an upgrade to an existing app than a complete rewrite, though. They can still use the same source code and some developers may be able to implement Instant App support in as little as a day (assuming they have a very basic app, of course). Apps will run in a secure sandbox and that this feature, once released, will work all the way back to Android Jelly Bean. It’ll likely be a while before you’ll see any Instant Apps in the wild, though. Google is announcing this feature today to gather input from developers. It has already worked with a few early testers and the team feels it’s ready to provide today’s sneak peek at the functionality. 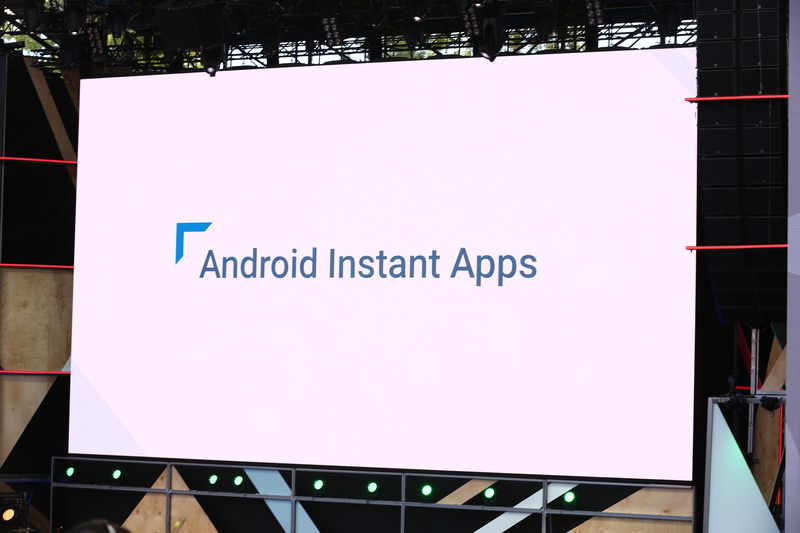 The capability to use Instant Apps will roll out to users later this year and Google plans to expand the set of developers with access to this feature over the course of next year. Why so slow? The company argues that this is a tricky feature to get right. “There are a lot of changes to the developer experience and we want to make sure we get this right,” Siliski said. Google in the past has experimented with a number of ways to bridge the gap between the web and native applications, including surfacing content from Android and iOS apps in search and even streaming virtualized apps from the cloud. But Instant Apps is about making it more seamless and natural to download then use real, native applications. The move comes at a time when the app stores are overrun with content, and consumers are becoming less inclined to seek out and try new applications. A 2015 study indicated that consumers spend 85 percent of their time on smartphones using apps, but only use a small handful of third-party apps on a regular basis. This shift in consumer behavior means that it’s difficult for developers to get their app onto users’ devices – something that Instant Apps could help to address, if implemented correctly.